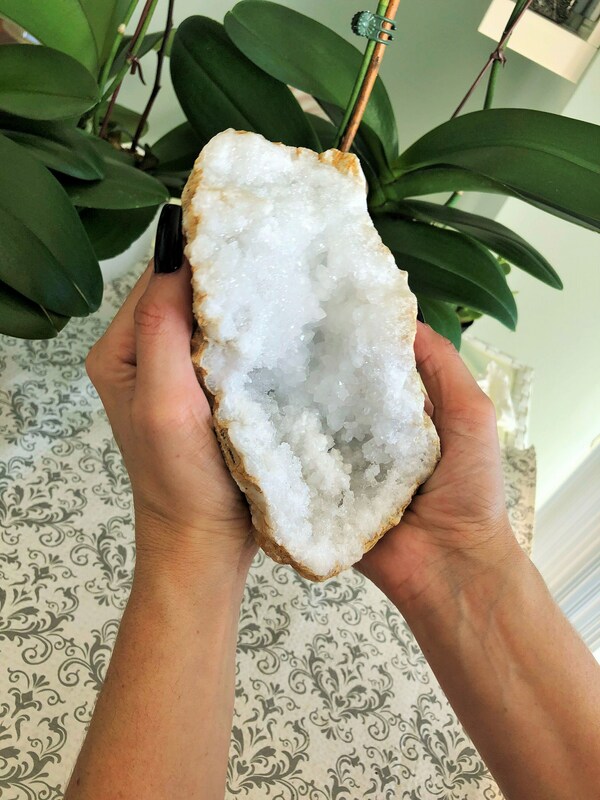 Get this sparkling Clear Quartz STANDING Geode Crystal comes with Free Shipping! 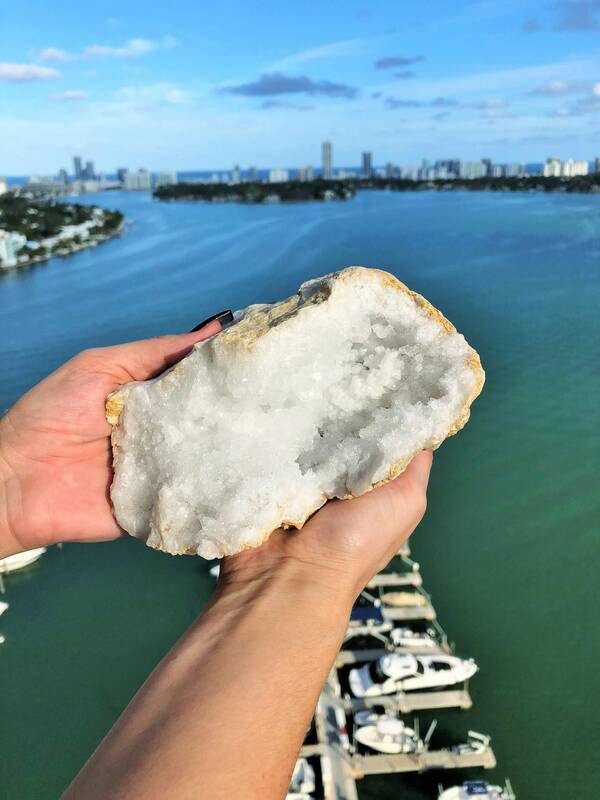 Many call clear crystal, or rock quartz, the "master healer" because of its seemingly unlimited healing possibilities and high vibrations. 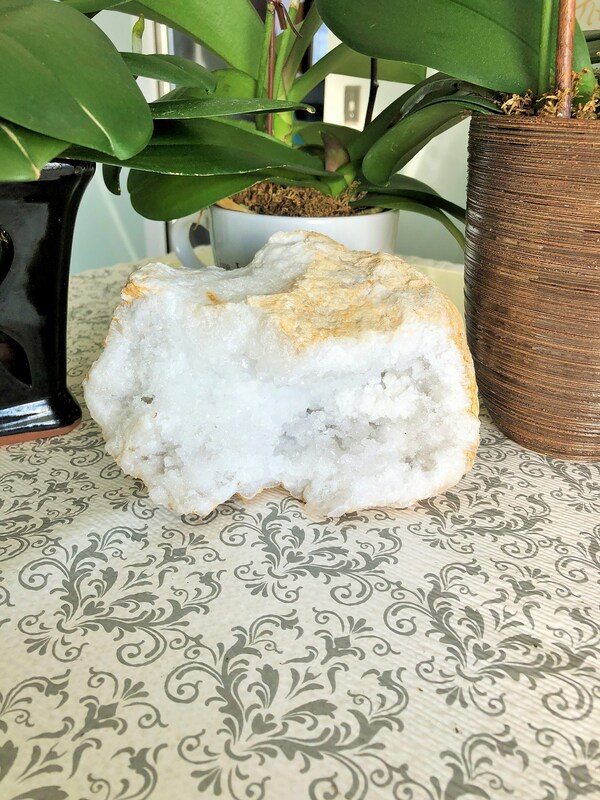 Aligned with the ALL chakras, quartz is used to promote harmony, and develop psychic abilities. 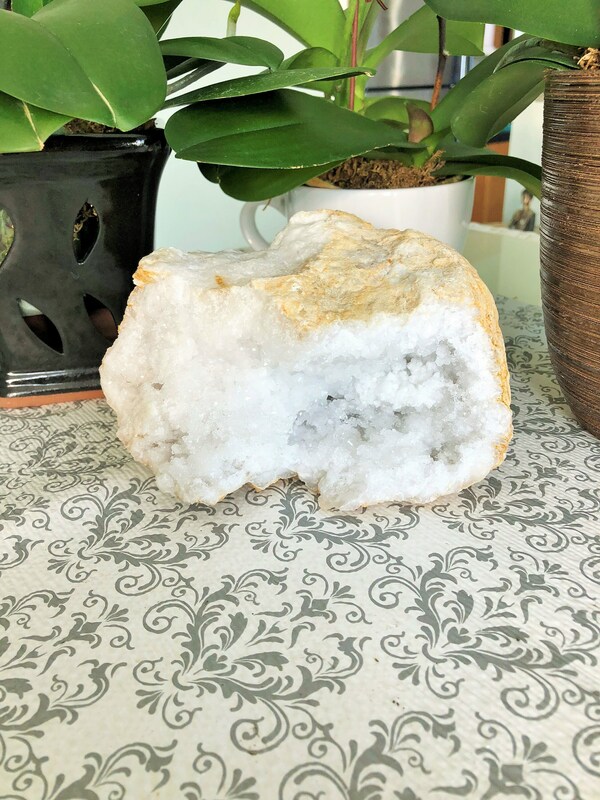 Clear quartz is used by many energy practitioners because it acts as a deep soul scrubber (if you will), which will help you access higher spiritual realms and dimensions more easily. At the same time, this stone helps connect the physical body with White Ray of consciousness, and Archangel Gabriel. 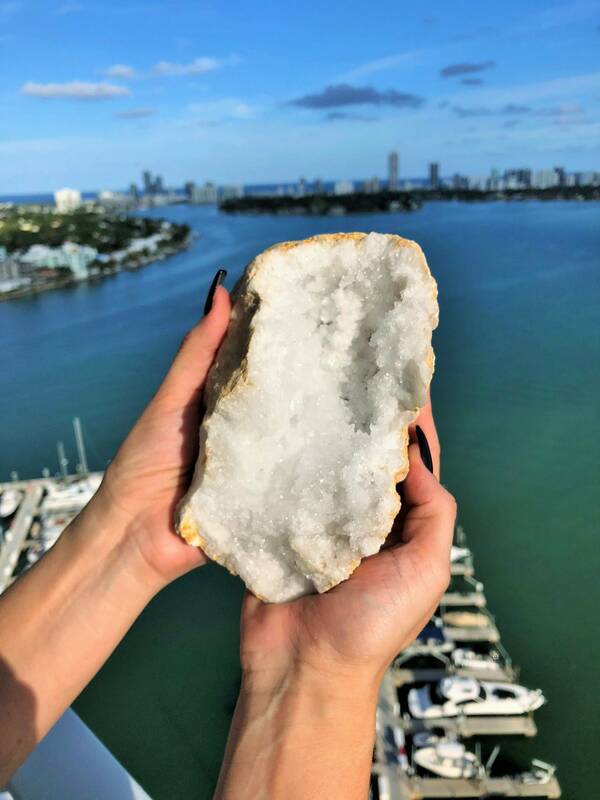 Clear quartz is programmable with intent and positive affirmation, and amplifies every thought and intention. It can also be used in crystal grids and jewelry to help amplify the metaphysical attributes of other stones. 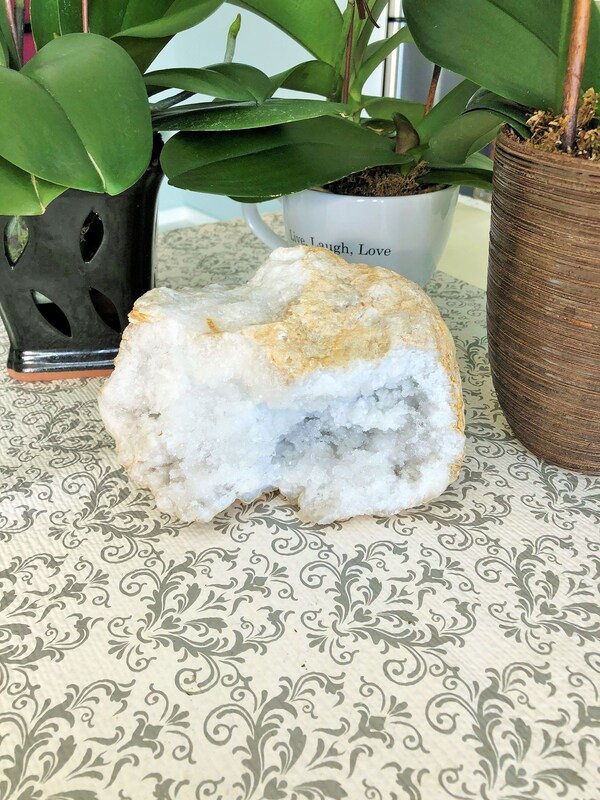 Additionally, crystal quartz will absorb, store, release and regulate energy within the physical mental and light bodies, and provides a fantastic aura shield if you are an empath. You will receive the EXACT crystal in the pictures.